Take a look at this new self-tinting window; it requires no electricity to operate and even serves as a rechargeable battery. The trick to making the self-powered smart window is a new technology developed by Prof Sun's team from NTU's School of Electrical and Electronic Engineering. 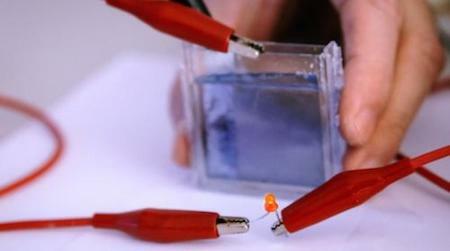 "Our new smart electrochromic window is bi-functional; it is also a transparent battery," Prof Sun explained. "It charges up and turns blue when there is oxygen present in the electrolyte – in other words, it breathes." Orne returned to his room to change for dinner, stopped at the polawindow, which he tuned to clear transmission.